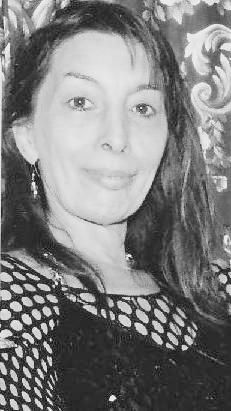 Rita Tilly - Thomas of Belgium was murdered on the 25th May, 2012 by psychiatrists and perpetrators using ray-guns. Rita Tilly–Thomas (52), a victim of so-called mind control technologies and weaponry, suffered immensely during the last months of her life. Burning pains were inflicted into her head, eyes and other parts of her body, as well voices speaking filling her mind with evil and abusive information. She only weighed 45 kg and had hardly eaten for weeks. She barely slept even thought she hardly left her bed. In the evening of the 24.May Jean Verstraeten, a member of our association had spoken to her on the telephone, however, only a few hours later she had passed away. May the forces of light and love be with her and accompany her to a sphere where she might be delivered from all of those horrifying torments. Rita was presumably poisoned by the psychiatrists due to a dangerous Neuroleptikum which was forced upon her and she was, therefore, a victim of murder. When the culprits recognized that Rita had been completely poisoned and, hence, mentally broken by antipsychotic drugs, they then hastened to kill her. Her relatives should, therefore, do everything possible to uncover this deliberate murder which took place under psychiatric supervision. Rita herself was convinced that implants had been inserted into her body and because this crime is being reported worldwide, her assertion could play a very important role in revealing the truth. An autopsy would have brought light to the actual cause of her death; however, unfortunately, she was cremated on 30. May. Indeed, would it not have been impossible to perform an autopsy, in order to certify that the body had been subjected to high frequency radiation. (“Der totalitäre Staat“ English: „The Totalitarian State“ by Martin and Markus Bott). A pathologist is able to recognise burns in the bone marrow. The cell structure changes, too. (Report of Dr. Munzert) He writes that after being subjected to torture with microwave weapons, traces of damaged tissue are localized by the use of a special camera. Unfortunately, the results are either faked or held back. We assume that Rita was tortured in the most brutal manner right up to her tragic death. Comment of Jean Versträeten: „On the 1st of June the burial took place. The last part of her life was spent in complete loneliness. However, at the service and in the cemetery there were many people gathered. One might call the average mood probably as very “compassionate“. Heute waren schon 6 visitors (142 hits) hier!